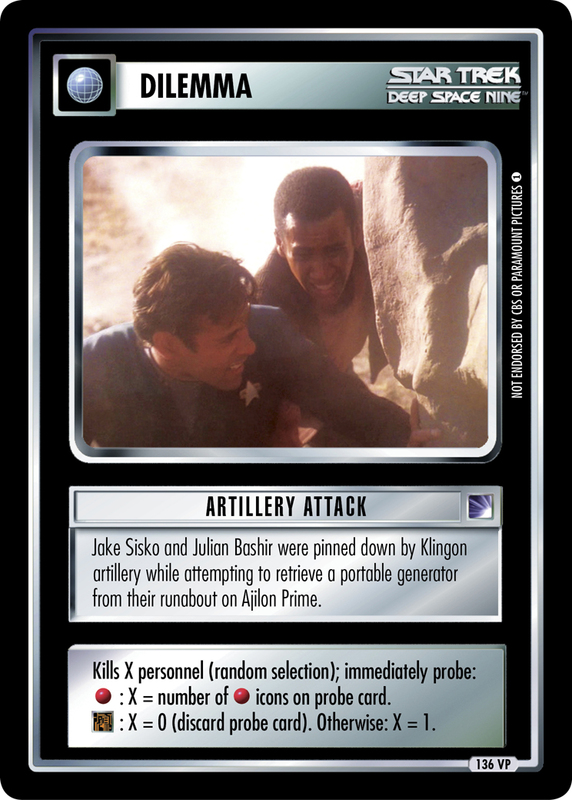 The Gorn attackers responsible for eradicating an outpost on Cestus III turned their deadly weaponry on the Enterprise landing party dispatched to investigate. • : X = number of • icons on probe card. : X = 0 (discard probe card). Otherwise: X = 1. Image Source: The Original Series: "Arena"